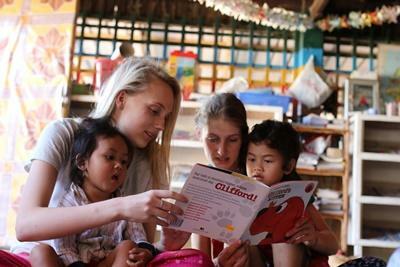 Volunteering with Projects Abroad on a Care project in Cambodia – one of Asia’s most underprivileged countries - will be a challenging but rewarding experience for you. Whether you are a student on a gap year, a professional on a career break, or simply looking for a meaningful vacation experience, you will have an important role to play in the lives of Cambodian children. Although the civil war in Cambodia has long since finished, its legacy continues to haunt this beautiful country. Children remain particularly vulnerable, but by working and interacting with children in day care centres, kindergartens, and care centres for children with physical disabilities or illnesses, you can help to improve their confidence and future prospects. In Cambodia, Care volunteers are based in Phnom Penh, where most work with a Non-Governmental Organization called Khemara. Khemara is the oldest locally registered NGO in Cambodia. Since 1991 they have played a significant role in working for the advancement of women and children in Cambodia by working directly with local communities. 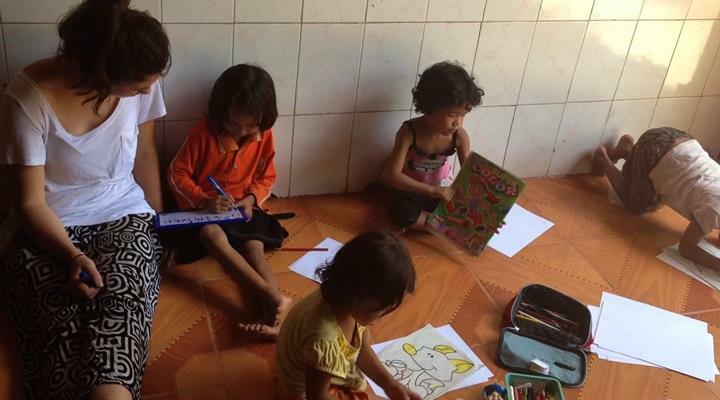 Projects Abroad and Khemara run nine day care centres on the outskirts of Phnom Penh. These day care centres are safe places for the children of disadvantaged garment workers to receive education, medical care, and three nutritious meals a day. Each centre helps care for between 20-50 children at a time. You will be looking after children aged between 3 to 5 years old and helping with their early childhood development. Your daily tasks will range from reading to the children to working individually with local staff to build their English capacity. You will also make sure that the children are taught about hygiene, are fed, and provided with monthly health check-ups. As far as education is concerned, you will provide assistance to the staff at the day care centres and kindergartens, and run activities incorporating learning about literacy, numeracy, and social skills. You will also teach activities like songs, games, drawing, and painting. All volunteers are supervised by local staff, and you might also have the opportunity to work directly in the communities to raise awareness of children’s rights. There is also an opportunity to participate in one of four mini-campaigns that we run throughout the year. These campaigns focus on education and literacy, sports and the outdoors, the environment, and health and hygiene. The kindergartens that we work with in Phnom Penh are also run by Khemara. These kindergartens provide essential care, food, and education for disadvantaged children aged 3 to 6 years old. Volunteers have a crucial role at these placements and contribute to the children’s educational development, while also offering friendship and emotional support. Projects Abroad Cambodia staff are happy to provide extra help to volunteers on the Care Projects. This may include buying some arts and craft materials, or arranging a day where all the volunteers help to renovate a play area at one of the kindergartens or centres. Input from volunteers is welcomed, and we are open to any ideas you may have to help make the lives of these children brighter. General Care Projects in Cambodia are available for less than a month if you don't have time to join us for a month or more. This project has been selected by our local colleagues as being suitable for shorter durations for both the host community and the volunteer. Although you will gain valuable cultural insight and work intensely within the local community please be aware that you may not be able to make the same impact as someone participating for a longer period. If you are a high school student and first-time traveller you may want to consider our High School Special programs in Cambodia.